I thought to post my freak accident here as it looks like the most appropriate session (previously posted in a different topic).. I was heading fast, very fast towards shore, where concrete groyns and a promenade full of buildings were waiting for me. 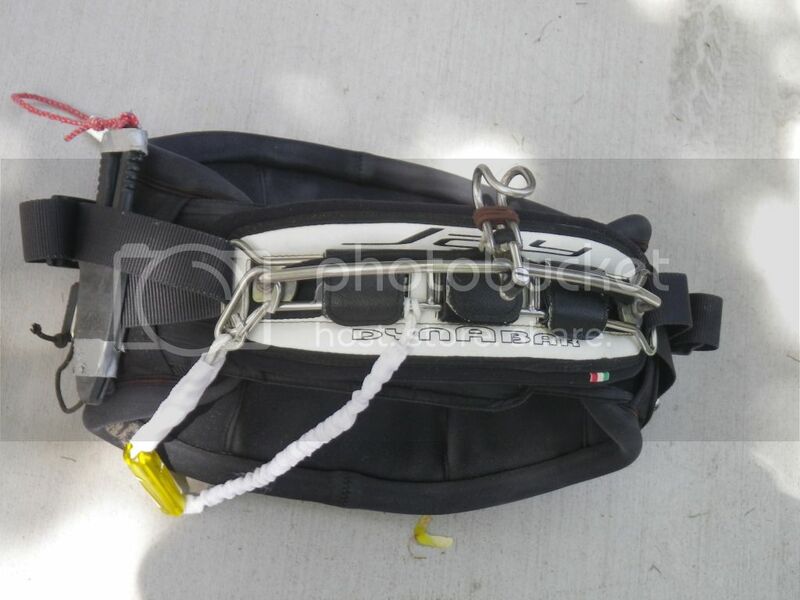 I looked around for help and I saw another kiter behind me, We look at each other and I was trying to ask for help while I suddenly I passed out and my body went underwater while being pulled towards shore by the frenzy kite. I drowned and reached shore lifeless, when my death ride finally came to an end, like mission was completed. Miraculously at this point I stop there and one of my mates manages to stop the freak kite landing it. The kiter in the water, followed me to shore and dumped his kite heading straight towards me, he pulled me off the water on the beach and saw me blue in the face, bloated and looking like a dead monster . Luckily he didn't panic and he started immediately CPR. He used to be a windsurf instructor and he learned it in a training course.. What an amazing guy, my life saving angel.. we've become friends now, he's a real special person. I feel so sorry for having put so much pressure and such a big burden on him! All the bad luck that put me in such a freak accident all of a sudden turned into good, and an unprecedented and perfectly orchestrated team work of buddies, kiters and walkers by came together in such a desperate scenario to rescue me. Ben the kiter who rescued me together with Doug, my best buddy, performed over 2 minutes of CPR in a desperate way but still I didn't give any sign of life, or pulse, which together with the first minute or two when I was drowned, we were heading to a tragic end. They battled so much to bring me back until I finally started coughing out froth and swearing to my death . with my best buddy next to me, all the paramedics and an amazing tube blowing fresh oxygen into my lungs full of sea. What a fantastic job everyone did, I will never be thankful enough to all the people involved in my rescue. It's a miracle to be still here and to be able to tell this freak story. Thank you all amazing people of Brighton UK! One month and a week later, I went back to my passion and I feel my life complete again, but I need to regain confidence and change all my gear including kites, bars, harness and leashes This is an amazing step forward for me in such a short period of time, although it didn't quite feel the same as before. My physical scars are gone, the psychological is slowly healing, but this one might take more time. I'm so glad that I am alive and I am still part of this real special community of brave fighters . So from now on, for me it's going to be all about SAFETY, more than ever before! 1. 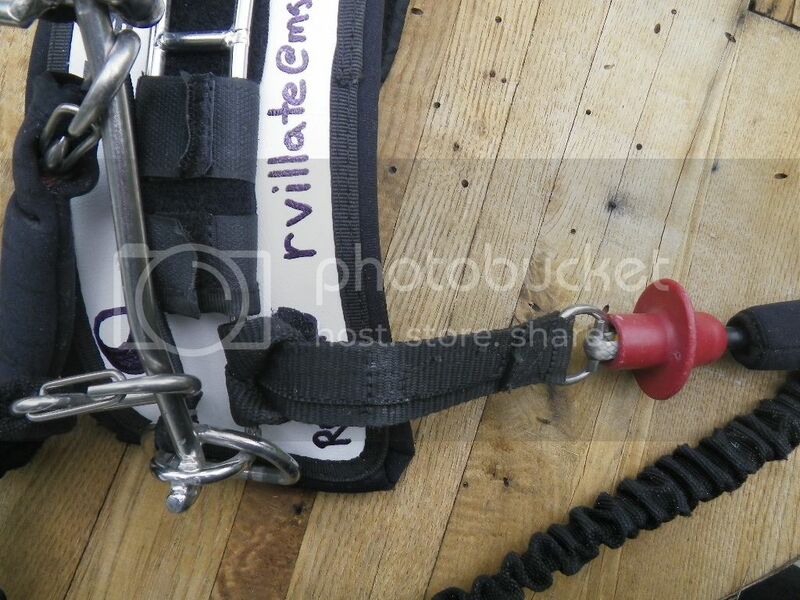 NEVER CLIP YOUR LEASH TO THE BACK OF THE HARNESS. 2. NEVER GO OUT ON YOUR OWN OR IN REMOTE AREAS IN BIG CONDITIONS. 3. 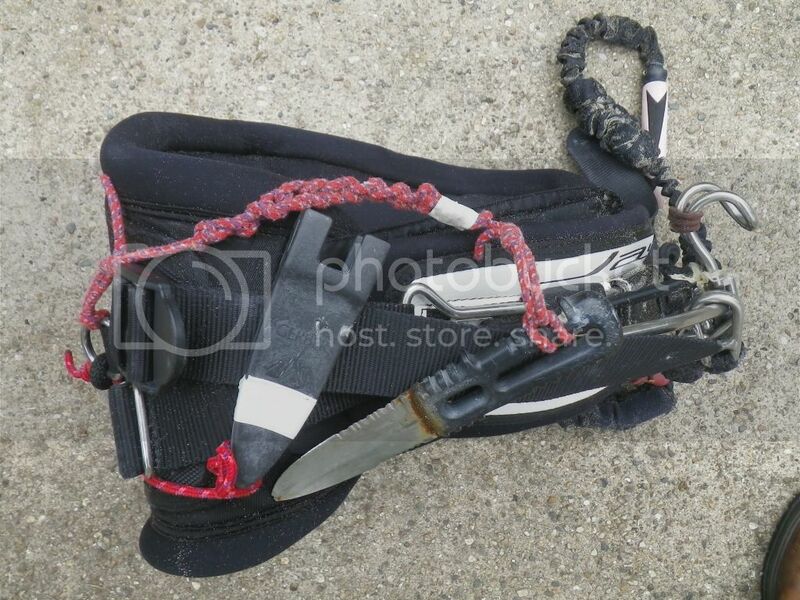 ALWAYS CARRY 2 KNIFES, ONE IN THE HARNESS AND ONE IN YOUR BOARD SHORTS POCKET (NOT JUST THE LITTLE HOOK KNIFE, WHICH MIGHT BE COMPLETELY USELESS IN SOME SITUATIONS! ), AND ABOVE ALL GET FAMILIAR WITH THEM! TRAIN TO USE THEM FAKING EMERGENCY SCENARIOS. 4. THINK ABOUT SAFETY AND SAFETY SYSTEMS MORE, NOT JUST KITE FLYING SPECS. SAFETY IS NOT A BEGINNER ISSUE!!! GET FAMILIAR WITH YOUR RELEASE SYSTEMS, TRAIN HOW TO USE THEM AND TEST THEM BEFORE EACH SESSION. 5. DO NOT TRUST OR USE CHICKEN LOOPS WHICH CAN COME OFF, SOME OF THEM DO (RRD IS ONE) AVOID THEM AS THEY CAN EASILY KILL YOU. 6. LEARN CPR, DO A COURSE OR ORGANIZE ONE LOCALLY FOR ALL SURFERS, YOU CAN SAVE LIVES… THIS GOES ACTUALLY FURTHER THAN JUST THE BEACH/SEA, YOU COULD SAVE A FAMILY MEMBER HAVING A HEART ATTACK FOR EXAMPLE..
Last edited by mr moon on Mon Aug 04, 2014 9:44 pm, edited 4 times in total. That's scary! I'm glad to hear you survived! I thought you were supposed to hook your leash to that loop connected to the back of your harness. Where do you think it would be safer to connect? I'm all for people reading reports like yours as it does remind us that we need to avoid getting into situations we cant get out of. Yours began with equipment failure and didn't end right due to a bad choice of safety setup. esg wrote: That's scary! I'm glad to hear you survived! I thought you were supposed to hook your leash to that loop connected to the back of your harness. Where do you think it would be safer to connect? Yeah unfortunately that's how most people are trained to do.. it seems like such a small detail in the whole gear set up, but it can easily kill you. Carrying 2 knives doesn't help if you cant reach the lines. Its not that unusual to get a line wrapped on your ankle. You then need to be lucky enough for the kite to stop pulling so you can get at the line. It bothers me because its a situation I haven't figured out the answer for yet. I windsurf in the conditions where a wrap is more likely. I've accidentally unhooked in strongish winds before, bar ripped from my hands, but thankfully my kite totally depowers in that situation with little chance of a kite looping scenario ( I hope ). So I don't quite understand how accidentally unhooking can cause so much kite looping... obviously you have a different kite and safety system to mine. do people clip to there spreader bar? not sure where on my dakine renegade i could clip to the front? mr moon wrote: Yeah unfortunately that's how most people are trained to do.. it seems like such a small detail in the whole gear set up, but it can easily kill you. poools81 wrote: do people clip to there spreader bar? not sure where on my dakine renegade i could clip to the front? Very scary story. Glad you survived to tell the tale Mr. Moon. I've seen this sort of thing happen several times. IMO. 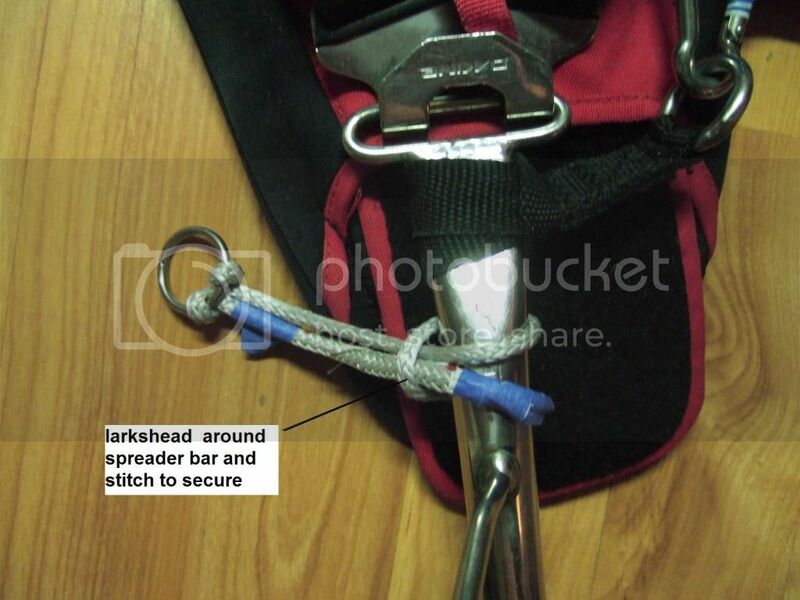 Best to anchor your leash to the front (better than the side I think) of the harness with a strap - as supplied by a few brands, or make your own, or direct attach like the one supplied by Core Kites. Knife: whether a hook-knife or like one shown...mount where you can get it with either hand, otherwise it may be useless to you. I can reach this knife with either hand if necessary...don't forget to incorporate a lanyard. well, my experience with the looping "depowered" kite is not so dramatic, but given that kite was brand new fifth(!) generation Gaastra Jekyll, most unpleasant anyway. first, almost all of the safety releases i made were during the quite innocent situations. kite fallen down from the sky in lulls (because the kite is built too heavy) or CL self unhooks (probably too soft or too short finger? with older CL there were no such unhooks). so, since i was close to the beach, i wanted to disable the kite in order not to drag it on the beach. but instead the depowered kite starts to loop from time to time. when i started to wind up the depower (one of the front lines) line on the palm of my hand wind picked up sending the kite in loops again. i was really close to losing my fingers or at least skin from my fingers that time. and as usual on the occasions like this on the beach there were nobody to help to apprehend the kite, just a few challenged Lenten wannabees concentrated on adjusting their board bindings and shouting to their girlfriends trying to launch their kites. i think depower systems like this are total crap. i'm done communicating with gaastra, they are not appreciating the feedback, they are pretty much living in the facebook environment, where only one "I like" button exists. next time i had to release the CL was in the overpowered conditions, so knowing the possible outcome i just relaxed and drifted to the beach. the kite got stuck in the bushes and i could wind up the lines in relative safety. remember these stories when you buy new kites. when you see those youtube clips about "how quick release works", don't believe them, it is always fart breeze in those movies. learn to know your safety systems. PS: ironic isn't it? when you try to water launch your kite it is always somehow tricky. but the very same moment when you wish your kite stays in the water depowered it magically rises up and creates damage!